A scene from the occupation of Kashmir: another picture worth a thousand lies. Protests erupted today in the Shopian district of South Kashmir following a hunt to kill operation where three militants were killed. 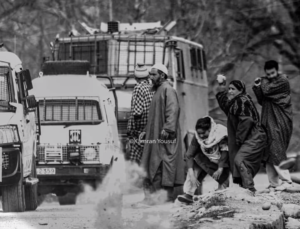 Residents, especially young people, took to the streets and pelted the Indian occupying forces. 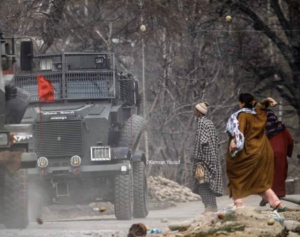 An eye witness said the army responded by firing pellets and tear gas shells. Mobile internet services have been snapped in the district. Perhaps nothing highlights the surreal & perverse symbiosis of US-Israeli alliance as the US recognizing Jerusalem as the capital of Israel & the Golan Heights as the territory of Israel. It’s as meaningless as me declaring myself empress of the universe. Except that the US & Israel are engaged in genocide against the Palestinian people. 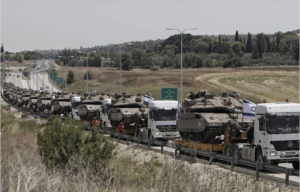 Israeli tanks on the Gaza border today. 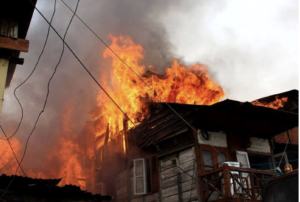 “A house has been set ablaze by the forces during the cordon and search operation in the area,” Locals alleged. A good article, in Forbes of all places, on why Kashmir has a right to self-determination. 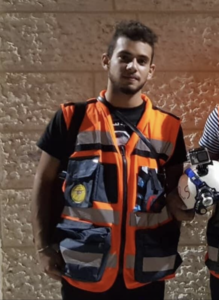 Sajid Mizher, a 17-year-old volunteer paramedic wearing a clearly marked vest was shot & killed by Israeli occupying forces in Bethlehem, West Bank. 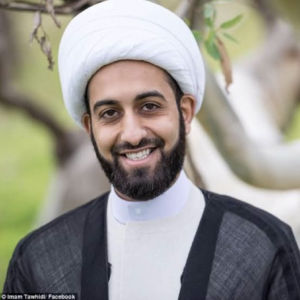 The Israeli military calls itself “the most moral army in the world” while it engages in genocide. May young Sajid Rest In Peace.